Basement windows often get overlooked when it comes to window replacement. While most homeowners exclude basement window replacement from their home remodeling plan, there are a number of reasons why replacing your basement window could improve your home. With proper condition, basement windows have many advantages that will improve your home. They provide natural light, ventilation, can be an escape route and they add value and curb appeal to your home. Find out why a basement window replacement is a smart upgrade you need for your house now. A basement’s original windows are likely plagued with gaps and cracks around the window glass and frame. These energy-wasting gaps can be detrimental to the regulation of temperature within your basement. Gaps around your basement window let heat escape during the colder months and enter during the warmer months. Along with these drafts come humidity and moisture. Put an end to precious air escaping your basement with proper basement window replacement and installation. Many basement windows only contain a thin piece of glass to separate your living area from freezing Chicago temperatures outside, creating a chill in the basement. Replacing an old basement window with one that has thicker, insulated glass can greatly lower this discomfort, keeping the effects of harsh temperatures out. In addition to reducing heat loss, insulated glass windows can help keep out unwanted outside noise. Insulated glass is an easy step to take to increase noise reduction, creating an even more peaceful ambiance to your already privatized space. The benefits of eliminating air infiltration and utilizing of insulated glass mentioned above combine to provide the wonderful benefit of lower heating/cooling costs. With energy efficient windows comes a reduction in your energy bill and more money in your pocket! Not only can cracks around a basement window let good air out and allow hot or cold air in, but moisture can also become a problem. Seal failure allows moisture to seep through the windows. The moisture can cause your basement to become damp and attribute to mold growth. Moisture getting through the windows can also lead to flooding and damage to the walls, floor, furniture, etc. Toxic mold and damage to your belongings can easily be avoided with fitted basement window replacement. Because of their ground-level location, basement windows are often seen as an opportunity for intruders to enter. It’s important to get rid of any thin, break-in prone basement windows and replace them with quality windows. Durable basement windows will make it much harder to gain access and help prevent home invasions. Many people use their basement as a place to work on craft projects, a home gym or where they store paint cans and cleaning products. With the risk of fume buildup, or any foul smell, you’ll want to be able to easily let some fresh air in to effectively ventilate your space. Old basement windows may not be able to open smoothly, if at all. Proper basement window replacement can allow you to have proper ventilation in your basement space and eliminate any hazards that come with unwanted fumes. Since basement windows are at ground-level, they are prone to extra wear and tear due to excess moisture. There’s no reason the curb appeal of your home should be ruined by old, ugly and rusty basement windows. Replacing these worn windows with new ones can make your home more attractive, both inside and out. If you are considering selling your home, upping the aesthetic appeal of your home is a must. Making your home look better will increase its value, allowing you to sell it for more money. Not only can the window itself boost your home’s appearance, but it can improve the ambiance of a dark, musty basement. 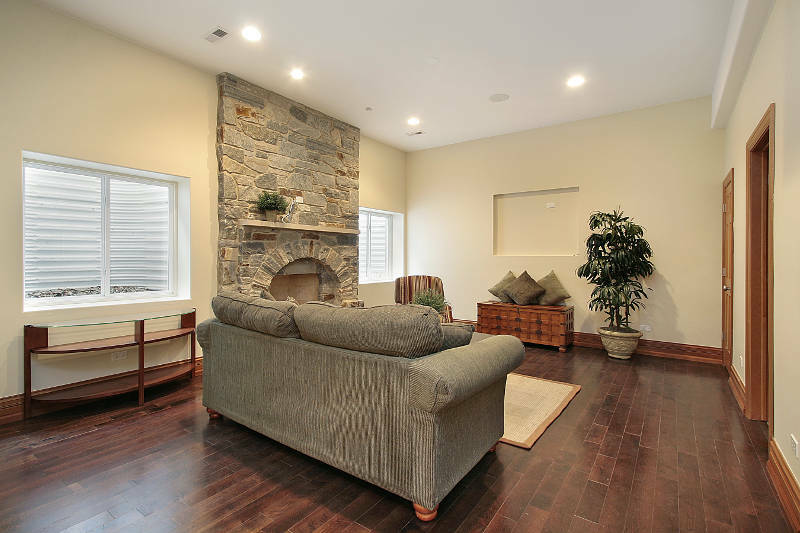 A quality basement window can let tons of natural light flood in, making the basement living area brighter. When replacing your basement windows, you have a wide selection of style options, including custom-made windows. A few of the most common choices are listed below. Hopper windows are the most common type of basement windows. These easy to operate windows provide excellent ventilation with a screen and open from the top. Their simple design blends well with any home. 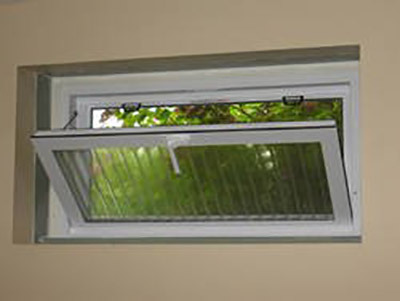 Hopper windows can also crank open quickly, providing a quick and easy escape exit. Sliding windows are another basement window style option. These versatile windows open from the side and can have an exterior screen to let air in while keeping bugs out, and also make for a quick escape exit. Double hung windows are a basement window that feature both upper and lower sliding sashes. These windows are low maintenance, easy to open and are one of the more attractive window options. If you like the idea of a basement window yet wish to maintain maximum privacy, semi-frosted privacy glass treatment is an option. Utilize a privacy glass treatment to add secrecy and safety to your basement space. If you want privacy without altering the glass in your window, blinds or curtains are a great alternative. 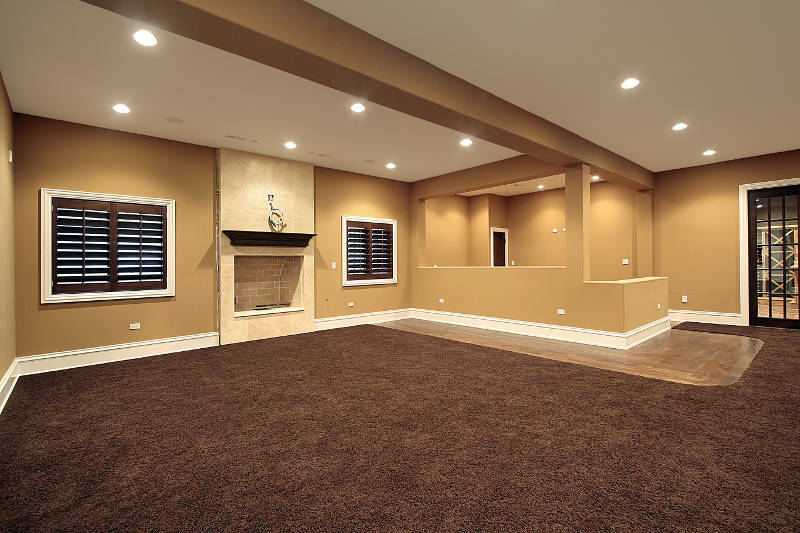 They can also be used to match the aesthetic of your basement, adding style to the area. 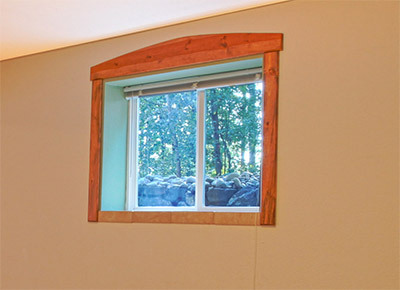 Replacing an old basement window with a new one has proved beneficial in many ways. Once you’ve decided that a new basement window is right for you, what’s the next step? With the proper company and installation, you’ll be on your way to enjoying a beautiful new basement window.